Mericle has reiterated that commitment now that season five has mostly aired, saying that the advantage to ending the parallel island flashbacks was the extra minutes of story time. “We always have so much story and we’re always pushing story. It’ll be great to have this extra space to play around in,” she told CBR. Arrow people? You should really, really think about this. The flashbacks have only worked well some of the time, and season five’s adventures of Russian Mob Ollie have felt very unnecessary. And while spending some time with college Goth Felicity was fun for a bit, any more of that is going to get tiring fast. Also, the idea of a Wild Dog flashback sounds excruciating. I wouldn’t expect Arrow to quit all flashbacks forever, but this makes it sound like they’re going to continue being a regular part of the show, and that’s just... not... necessary. 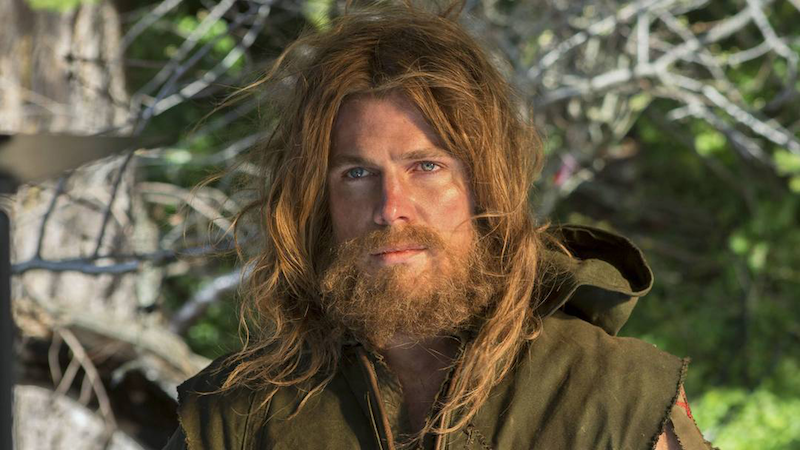 Still, I guess not seeing Amell run around in bad wigs is some kind of progress. Baby steps, I guess. Hard to quit flashbacks cold turkey. Holy Cow, Who Isn&apos;t Coming Back to Arrow at This Point?